Released in 2013, Anodyne was the story of Young; a white-haired young man on a journey to save someone named the Briar from the mysterious Darkness. That’s the surface level description, anyway. In actuality, Anodyne was a psychological journey through distinctly abstract areas, each with its own theme and look, tied together by a large, Zelda-like hub world. 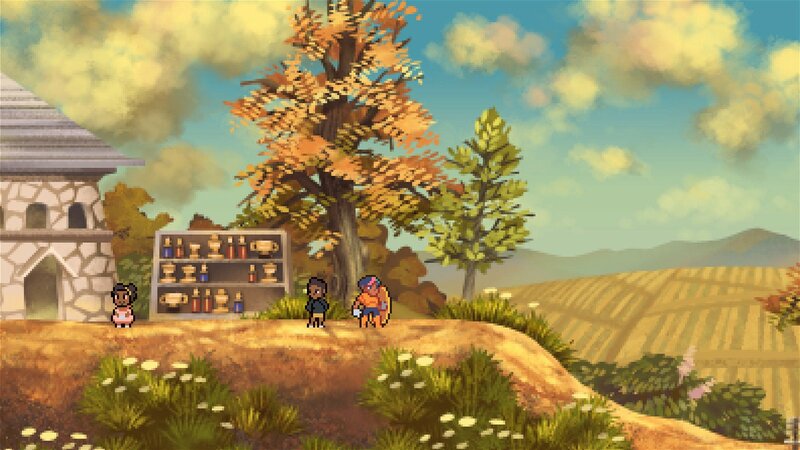 Three years later, Anodyne’s developers, Joni Kittaka and Sean Hogan, have returned with a new game that, while the story is more tangible on an external level, has just as much—if not—more going in internally than their previous game. 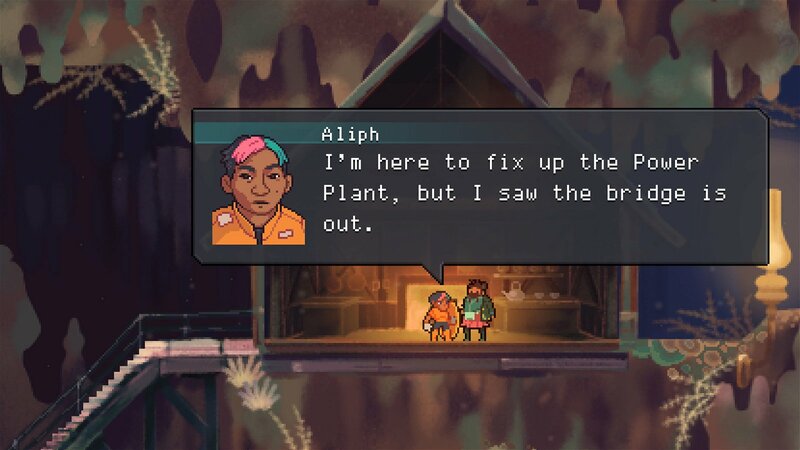 Even the Ocean is the story of Aliph, a power plant worker living in a sci-fi/fantasy setting known as Whiteforge City. In Whiteforge, there are two types of energy, light and dark. Whiteforge harnesses light energy from the planet to power the city, but if a person were to absorb too much light or dark energy, they would die. After a routine maintenance trip gone awry, Aliph manages to impress the mayor of Whiteforge, who gives her the task of investigating a rash of power plant outages throughout the continent. What begins as a simple assignment turns out to be much grander than that, and may very well involve the fate of mankind. 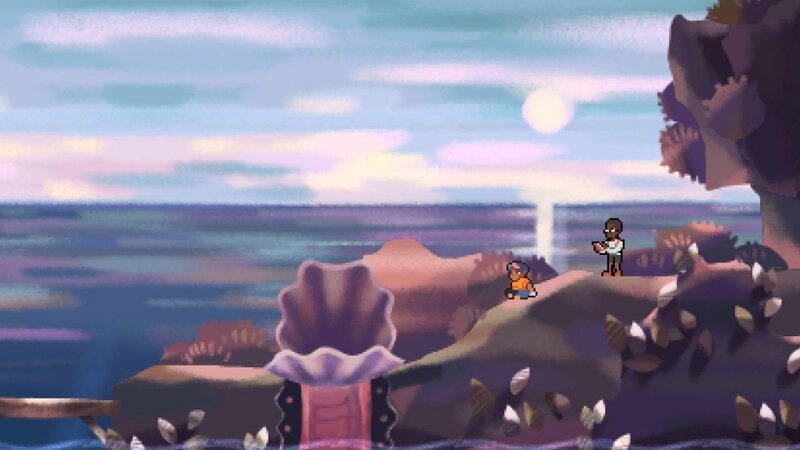 Even the Ocean’s story and atmosphere are very similar to Anodyne’s in that there’s a constant dreamlike quality to the game’s events, only the former feels much more rooted in some form of reality. While Anodyne felt less like a concrete narrative and more like a vehicle for developers Kittaka and Hogan to talk about their personal philosophies through the world and environment’s underlying implications, with Even the Ocean there is a marked shift towards presenting a story with characters that are clearly defined. However, this is not a transition that is made entirely smoothly. At times, conversations between characters can feel less like real people talking and more like they’re outright stating philosophy to the player, and the effect is jarring. During these moments, the fact that there’s a writer behind the story’s characters can be painfully felt, which makes it difficult to connect with them as individuals. By the end of the game, though, the story’s underlying message (which won’t be spoiled here) is delivered in a way that feels sincere and meaningful. The lack of any clear villain, unlike many stories that have a similar message, means that it doesn’t come across as moralizing or overly simplistic, delivering a much more complex take than what we’re used to when it comes to stories like these. Gameplay-wise, Even the Ocean is a puzzle-platformer primarily based around one mechanic: there is no traditional health bar or way to take damage. Instead, there is a bar that starts out half light and half dark, with various objects boosting the light or dark side depending on their colour. If the bar is filled solely with one colour, you die. 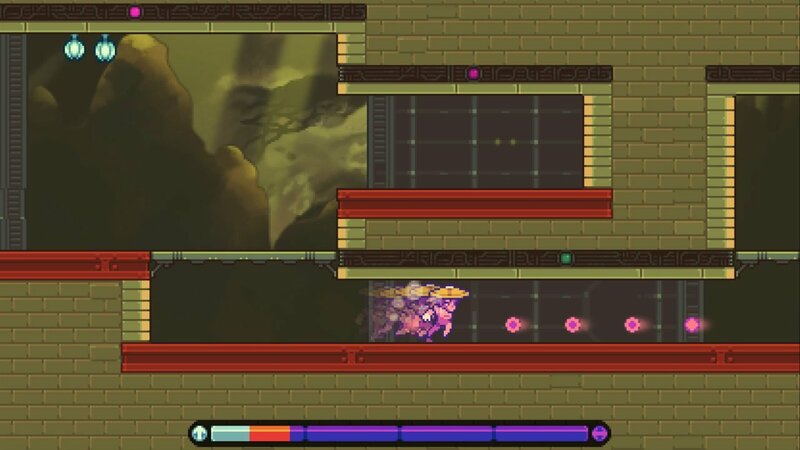 The addition of this unique mechanic means that whether something is an obstacle or a health boost depends entirely on the context, so traditional philosophies that form the very bedrock of platformer design such as “these are the bad things and you should never hit them” are thrown entirely out the window. You are given a shield, but even that is used as a way to solve puzzles and not solely to avoid danger. The level design manages to play with this mechanic in interesting ways, adding more to it as the game progresses so that it doesn’t feel like it’s hinging on this one idea. Much like 2016’s Superhot, Even the Ocean’s core twist to a well-worn genre’s formula is so unique that the game practically creates itself, yet the developers went above and beyond with this twist to make something that feels like a truly complete game. These elements work well on their own, but it’s when they are put together that Even the Ocean’s true value shines. The debate between story and gameplay is fairly overdone at this point, but Even the Ocean feels in some ways like a response. By tying the story and gameplay together so that neither feels fully complete without the other, Kittaka and Hogan have created a game that feels completely cohesive in a way that many other games struggle with. The fact that two people managed to do something that many AAA studios have difficulty doing is nothing short of amazing, but when looking at what the core of Even the Ocean is, it shouldn’t be surprising. Balance is something that most people don’t particularly treat as a guiding principle in life, yet when playing Even the Ocean, it’s clear that Kittaka and Hogan both view it with reverence. If there’s one thing that should be taken from it, it’s that perhaps more of us should. By tying the story’s underlying themes to its gameplay, Even the Ocean feels cohesive in a way that few games do.